Not my best camera/display work. 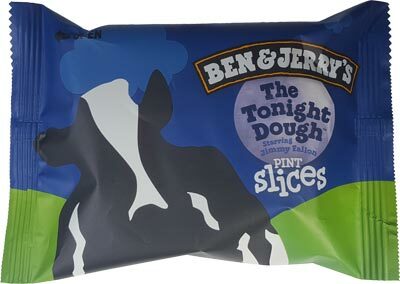 You might remember from three years ago that I wasn't exactly won over by The Tonight Dough when it came out. Late Night Snack had set the bar too high for me to properly enjoy the latest from Jimmy Fallon. 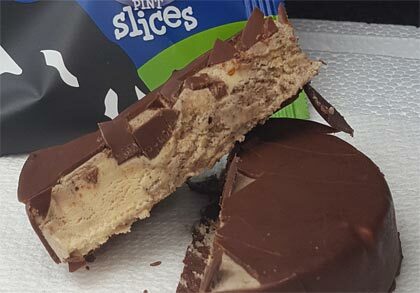 That said, I enjoyed my first testing of this new pint slice. It started a little slow, but once I started hitting the numerous pb dough bites, things really started to click. I wouldn't say I fell in love, but I started appreciating the complexity of the flavor. It's like a dark chocolate start with a peanut butter finish and it works pretty well. I'm just sitting here with the lingering aftertaste debating how I would rank this (if I was in to ranking things). Because the flavoring is so.... poignant shall we say, I can see keeping a box of these in the freezer for when a specific mood hit. It wouldn't be a daily driver, it would be more of a decadent note to treat myself or recover from a bad day. I guess it just feels like a mature treat. On Second Scoop: WHOOPS! I forgot to write down some thoughts after I enjoyed the second and third pint slices, but the good news is, I did enjoy the other two. 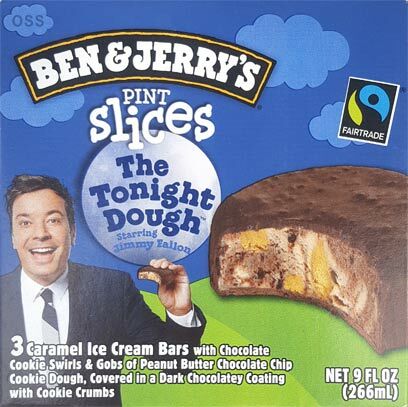 I still wouldn't call it love, but this feels like a better way to enjoy the Tonight Dough. I wanted to try these, as I thought they seemed the most "exciting" of all the slices--and I really enjoyed them! I've only tried the Americone Dream ones besides these, though. Which of the others did you like best? So odd that it's superior to the pint version. 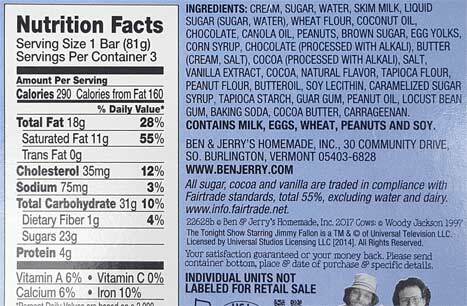 That pint version is a mess of great elements that don't work together as applied.